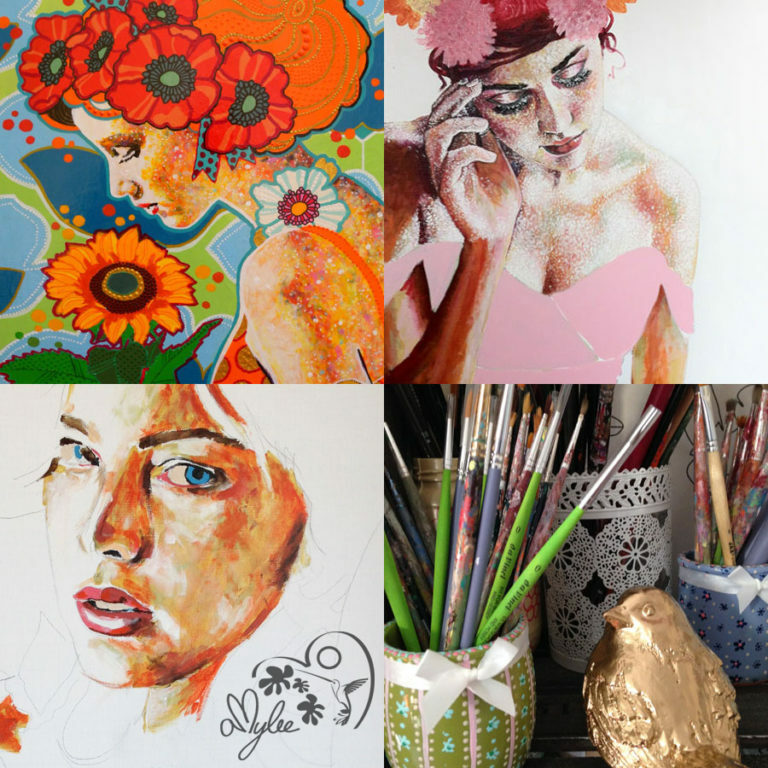 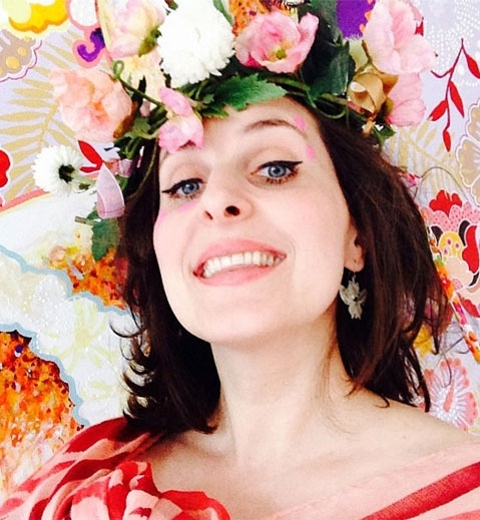 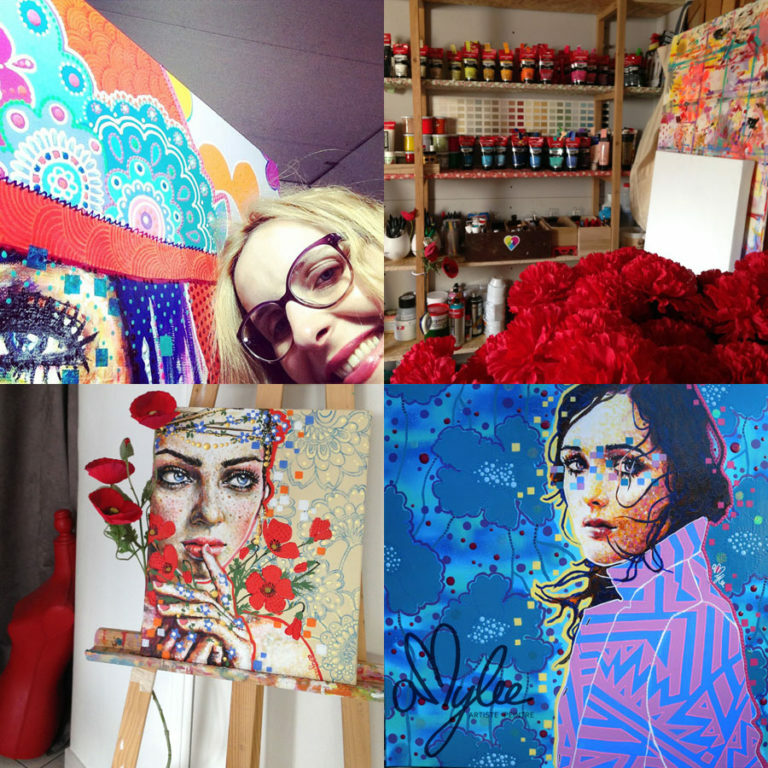 I’m Amylee, full-time artist, I live between France and England. 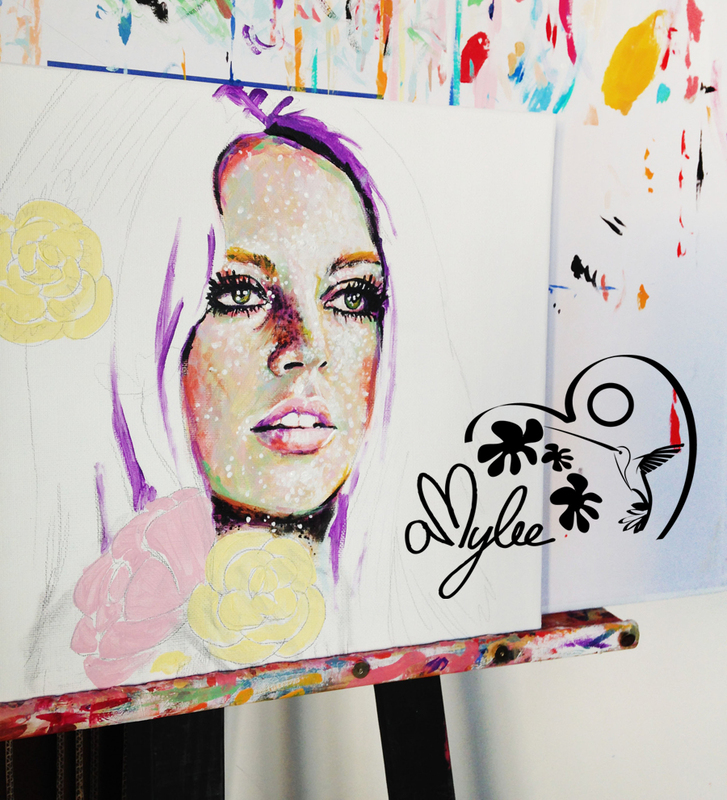 I had several years of experience within the design industry and fashion agency, and I have fueled my ambition and my passion to produce colourfully works. 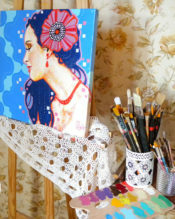 In 2009, when an art gallery decided to exhibit my paintings. 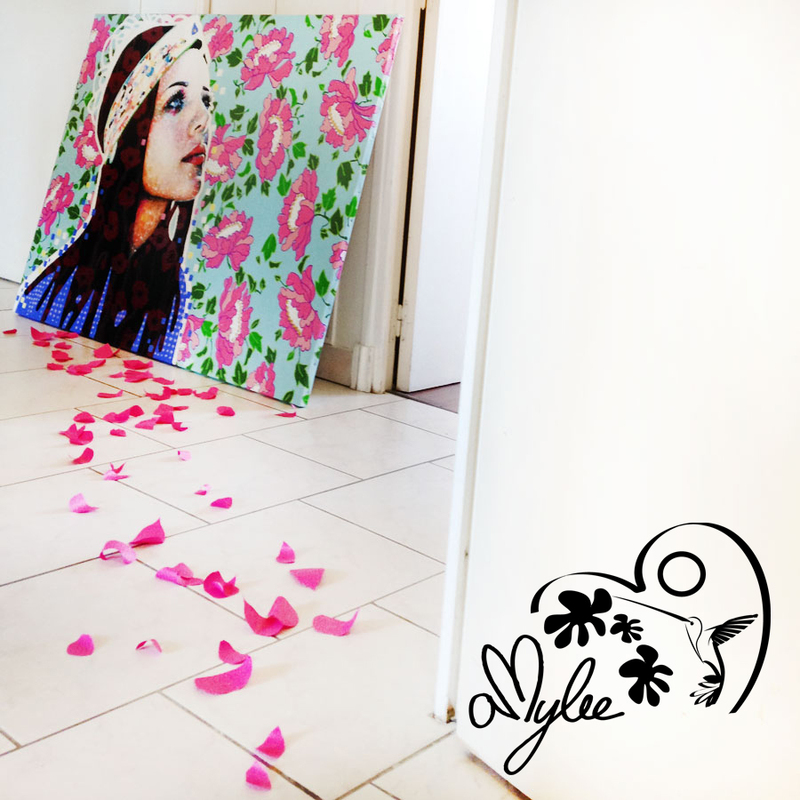 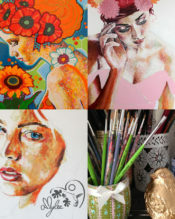 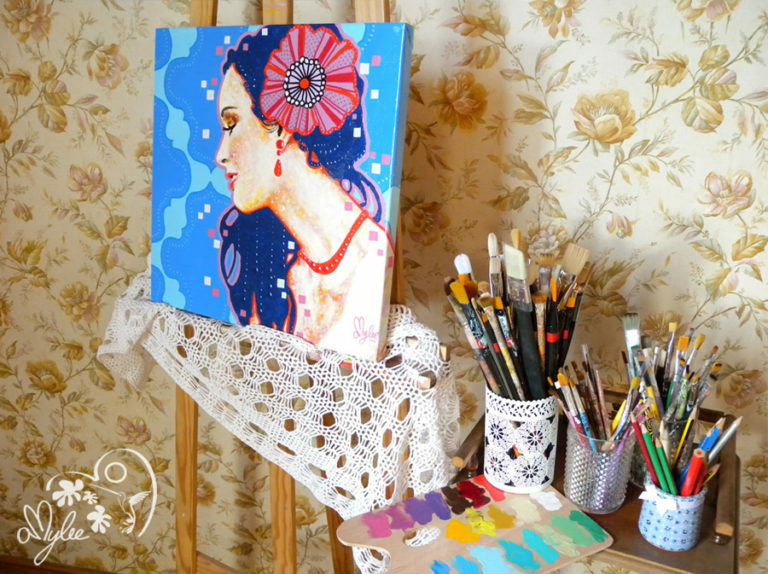 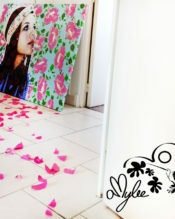 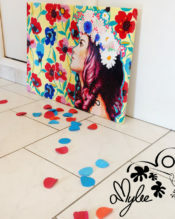 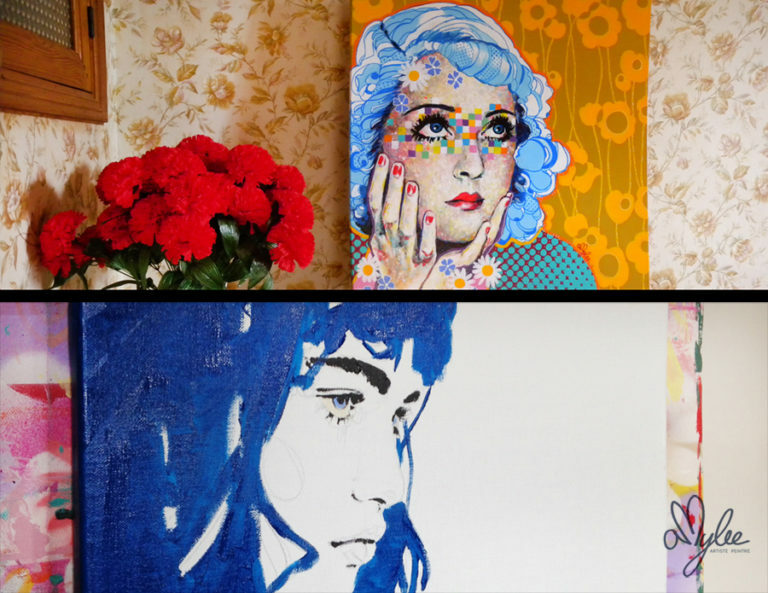 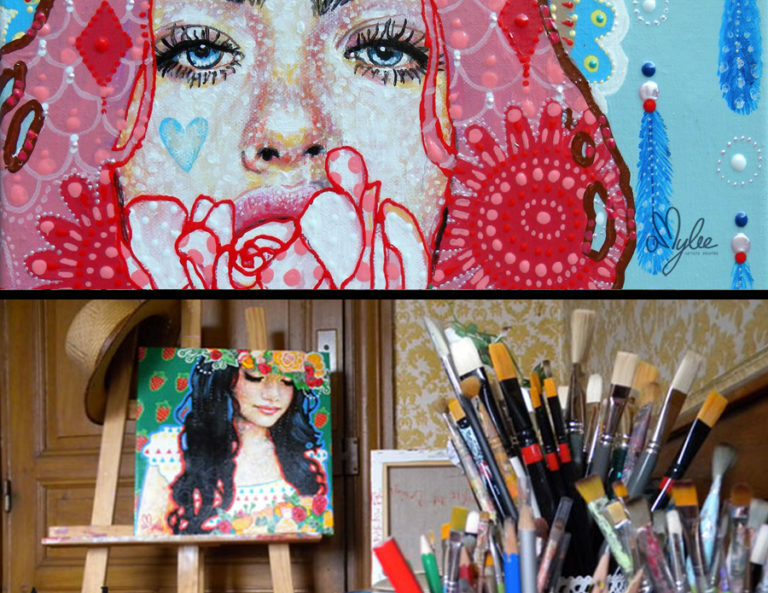 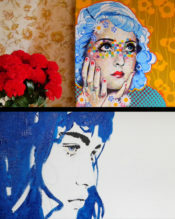 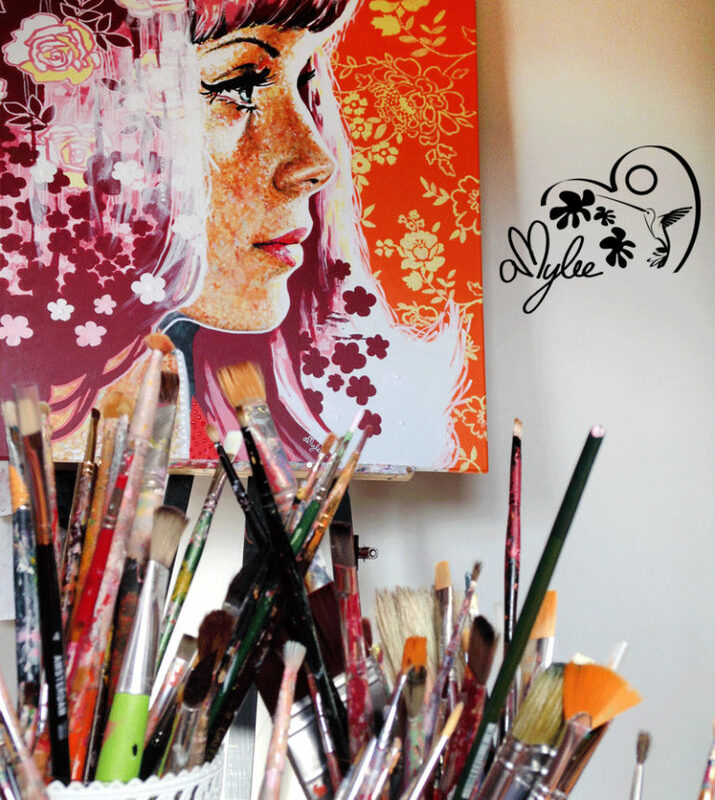 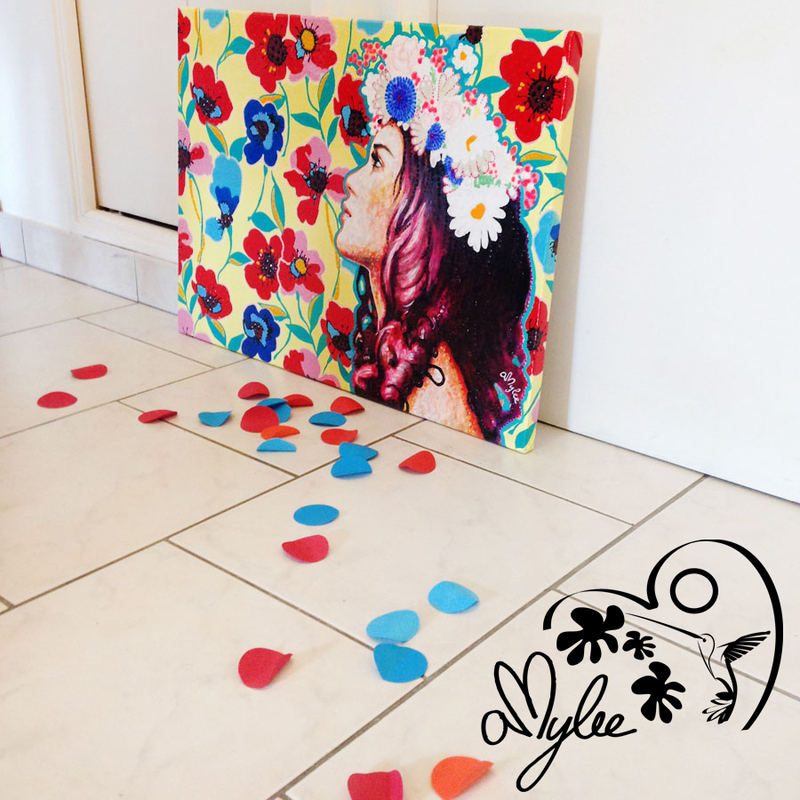 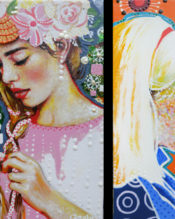 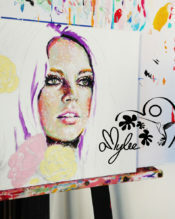 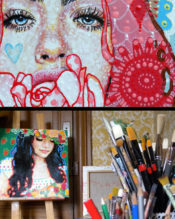 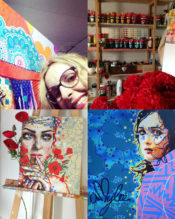 I work with acrylic paint on canvases and create colourful portraits of women with flowers allover. 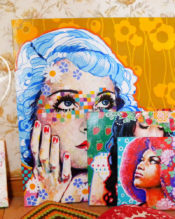 By mixing textile patterns, by combining and repeating elements of pop culture and Art deco with inspirations of fashion. 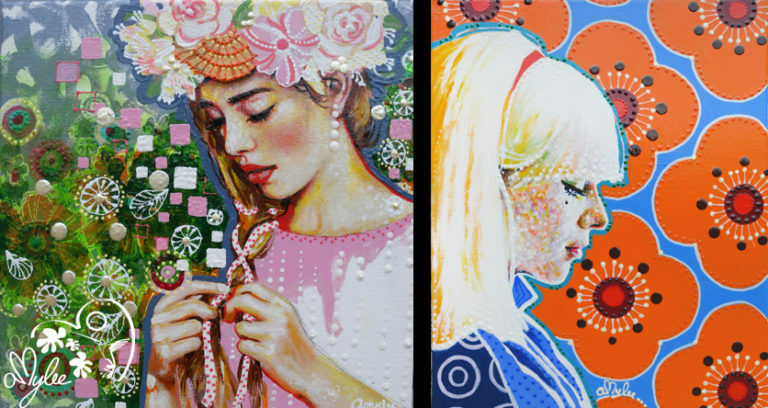 Amazing bunches of flowers, a blend of traditions, reflecting the roguishness of Pop Art and figurative art. 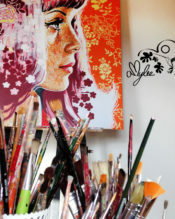 Impressionism with visible brush strokes, colours and light. 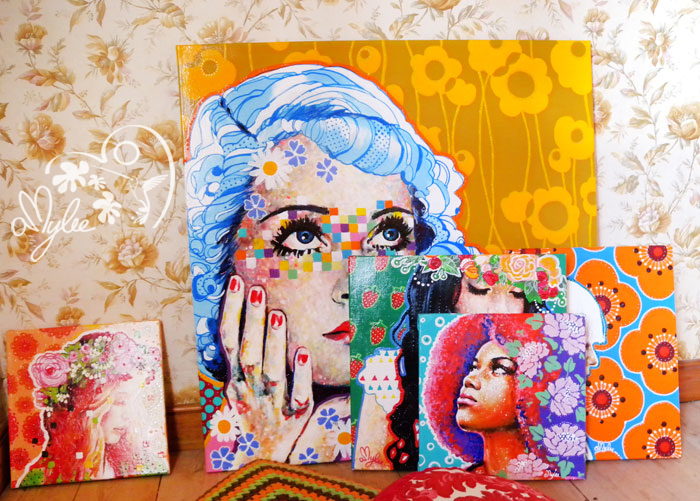 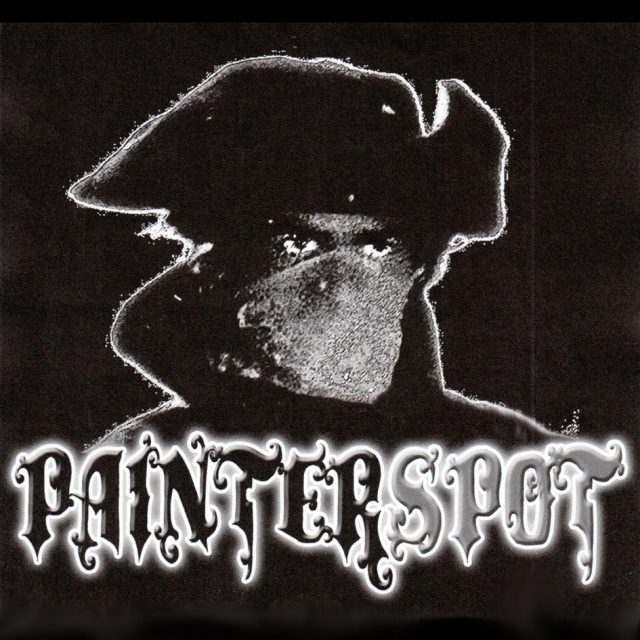 Where could we find your paintings ?